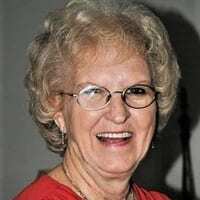 Ms. Joan Chastain Weaver, age 76, of Jasper, passed away October 15, 2018 at her residence. Ms. Weaver is survived by her Son and Daughter-In-Law: Scotty and Mary Weaver of Ellijay. Brothers: Leon Chastain of Nelson and Billy Chastain of Jasper. Sisters: Nora Chambers of Talking Rock and Laverne Walker also of Talking Rock. Seven Grandchildren and Four Great-Grandchildren also survive. Ms. Weaver is preceded in death by Son: Ricky Weaver. Brother: Gary Chastain and Fred Chastain. Sister: Kathleen Mulkey. The family will be receiving friends, Wednesday, October 17, from 1:00 PM until 10:00 PM and Thursday, October 18, from 8:00 AM until the funeral hour. Funeral Services will be held 2:00 PM at Cagle Funeral Home Chapel, with Rev. Roger Elliott officiating. Pall Bearers: Henry Cantrell, Timmy Chastain, Shawn Chastain, Roger Mulkey, Jimmy Lee and Billy Buchanan. Interment will be at Bethel Christian Church Cemetery immediately following the funeral service. Flowers will be accepted or donations can be made to the American Cancer Society. Cagle Funeral Home is honored to serve the Weaver family.